There are several issues that I would like to share with the readers. It has become very common that the French culture requires behaviors and IF you do not follow these small rules, your punishment would be given quickly and honestly. I am not saying the Parisians are without fault .. but theirs is a culture that is older than ours, and since we are the “child” , viewed from Europeans, we need to learn some things – like reading a book about the place we are going to visit, and reviewing the “manners’ chapter . 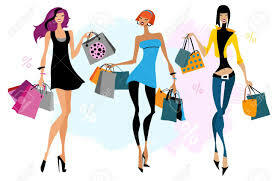 As many people do on holiday, shopping is done when ever, where ever possible. ( I know I speak for myself). I love to bring home some kind of reminder of my adventures – I use to collect T-Shirts – as I traveled around State to State, National Parks to Historical sites, when I reached a total of 52 t-shirts , I had to stop- It was getting out of control. I had to move to something smaller – so I went to the décor plates, place mats, then key chains and now magnets. So if you are like myself, you will be in some shop in Paris, looking for one of these items. Rule 1 – ALWAYS say BONJOUR, when you enter any kind of store, it maybe a small hole in the wall to you – but French culture says, to respect that person working there, for him/her, its their living – and you should be respective of this. And when you leave, you should say ‘merci,au revoir ‘ , if you buy or not buy anything , it does not matter, you must respect the person – and say something as you depart. If you are in BHV, or another big store, you may say this to the guard at the door – this is acceptable , but its always said, in the ‘motion of leaving”.. 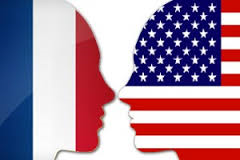 When I speak to French people, they are annoyed that “Americans are so rude ‘, when asked for an example – this kind of behavior is the one , most spoken of. However, as an unique side story, they asked if I had that same problem when I first arrived here. I tell them ‘no’ , because in the South, we are use to saying “ hello, Good Morning , or how ya doing? “ as greetings when entering a store, or business, its automatic to me now. However, other parts of the USA does not practice this custom, and its normal not to acknowledge the sales person. The French were surprised that the USA has such different cultures within one country, but trusted this sad fact. They saw this as uncivilized behavior, and reminded me that many tourist books tell them, about this French practice, and why don’t they read about it , in the books ? At this point, I had to give up – and tell them – basically that Americans don’t use the 8 hours of flight time, to educate themselves. I admitted to how the “idiot box “, has taken over much of the self learning in the States. I always liked reading, now that I take a train in the morning, I have ‘study time”, which I use to read either a novel, a fashion magazine, or a heath article … always trying to keep my brain in motion.. even when I had a smart phone (they don’t do well when dropped on stone floors ) , I used it to learn the game Chess .. and I was up to the 3rd level. So why doesn’t American learn this simple rule? I had one sad word to explain and also be truthful – “laziness”, somehow, learning “common manners” has been removed from the American culture.. and it’s a sad statement too.. I can’t count the number of times, I was in Paris, and I watch some American do something rude – and when the French person, ignores or only replies in French .. to the rude person.. the French punishment was given , quickly to the rude person. The American walks away upset that their question was not answered, and the French are upset, at the rudeness of the American .. this is one example of why people think the French and American hate each other..
how it “ GOES “ ..